What is Ormus? 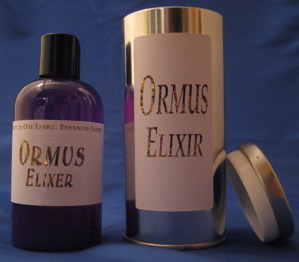 Ormus is made through an alchemical process from water and other substances and is also known as monatomic gold, white gold, white powder gold, M-state, AuM, micro clusters, and manna. Ormus is believed to be precious metal elements in a special atomic state. Benefits of Ormus Ormus elements are believed to be the life-giving elements found in all living beings. They have been one of the best curative sources in alternate medicine as they are believed to rectify many ailments with almost magical powers. Many alternative medicine practitioners state that since our body is comprised of these elements, Ormus makes for a natural, holistic healing devices. A lot of plants or foods like almonds, aloe vera, apricot kernels, garlic, royal jelly, sheep sorrel, and white pine bark are said to be rich in Ormus. The holistic benefits of Ormus are many, with a few of them being: �Ormus is believed to restore original DNA structure. This property speeds up the healing process in case of any injury. It also prevents foreign matter from spreading and causing further complications in the body. �Ormus is a super nutrient which reduces the need for consuming large quantities of food. �Aging is a natural process which cannot be reversed, but Ormus can help in decelerating the aging cycle and curbing its onset. For example, graying hair, wrinkled skin, and other common signs of aging can be slowed down and reversed. Ormus also helps in keeping the brain active and boosts memory even in old age. �Ormus helps realign our energy field. You will notice a tremendous change in your body if you use this alternative form of medicine. Ormus also balances your state of mind and boosts activity levels. 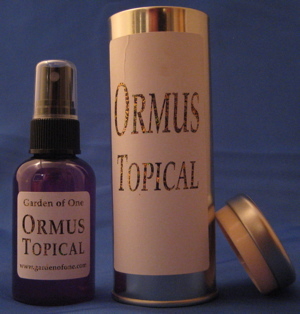 �Ormus acts as a powerful cleansing agent and can rid your body of all the harmful toxins that are present within. This helps in preventing many dangerous ailments from surfacing in your system. Ormus realigns our physical body to carry more consciousness. *These statements have not been evaluated by FDA and are not intended to prevent, cure or treat disease.